I am very proud of this production and I know that Vince would have been proud of what I have done to preserve what he taught. This is by far the most elaborate collection of Vince's exercises performed on video. 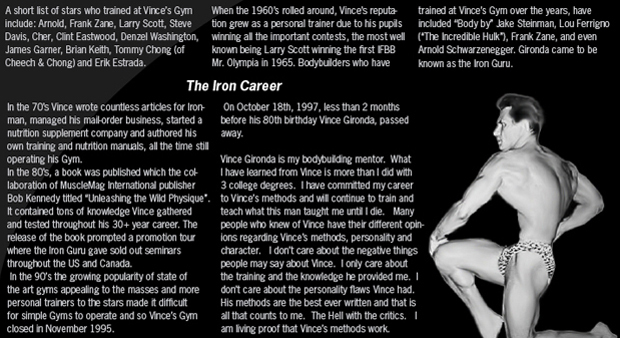 This book depicts the methods of Vince Gironda, the legendary Iron Guru. Conant learned his methods first hand and is a living example of how Vince took an unorthodox route to train in his own way. 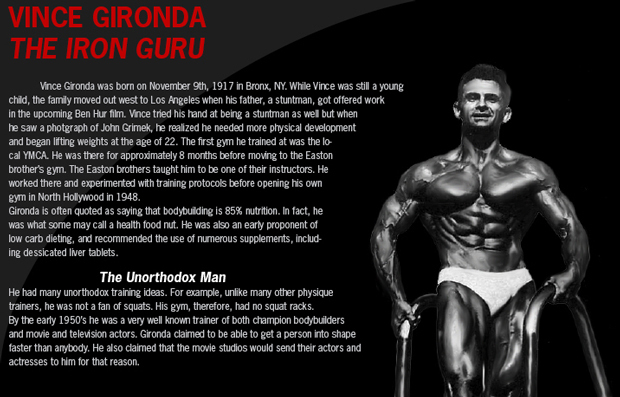 Gironda trained many celebrities during their fim careers. This book is for anyone wanting to develop a great looking physique the TRUE NATURAL WAY. The way Vince intended. 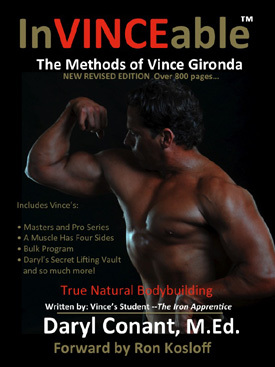 There is no other book that depicts Vince’s unique exercises like InVINCEable.